You’ve done your research and obtained three quotes from different window coverings suppliers, and they are all within a similar price range. So, how do you decide which to go with? Your head tells you it makes sense to go with the cheapest supplier, more budget left for other décor items. But then again, your heart tells you to choose the company who is the most genuine and trustworthy. Or should it be the biggest company, or the one with that’s on the TV the most? At the end of the day there is a long list of criteria to consider before you spend your money, but one that is often overlooked is what sort of warranty is offered by each supplier? Here are some tips from the team at The Blind Factory to help you to understand what to look for in a product and service guarantee. What sort of warranty time frame do they offer and when does it start, at order or install? What do they consider as a product defect vs. Wear and tear? Will they come and inspect the product if you have any concerns? Do you need to register for their warranty program at time of purchase? Do you need to keep the original paperwork? What product installations are not covered? What costs will be incurred in the event of a warranty claim? What environmental situations are not covered by the warranty, i.e. Sea salt? 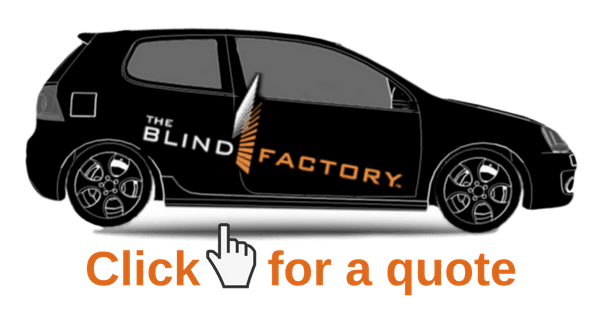 With over 50 years in the market, The Blind Factory has the experience and products to suit every home – and we now offer an industry-leading Lifetime Guarantee! Most guarantees these days come with a multi-page contract full of fine print, but here at The Blind Factory we like to keep things simple: your blinds are covered for as long as you live in the house and follow our recommended Care Instructions. We stand by the quality of our products, and will take every reasonable measure to ensure you are completely satisfied with your new blinds, curtains, awnings or shutters.